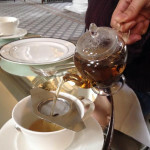 Afternoon tea at the Signet Library – launching one of Edinburgh’s most glamorous afternoon tea salons in Scotland’s capital city in the exquisite surrounds of the Colonnades in the Signet Library on the historical Royal Mile. A £250,000 refurbishment has seen the lower library painstakingly restored to its former glory and aptly renamed The Colonnades in reference to the tall fluted Corinthian columns lining the salon overlooked by a gallery of ornate balustrades in a neo-classical style. 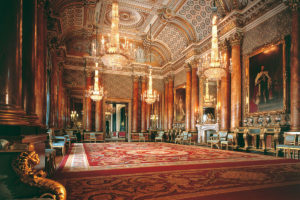 Attention to detail is uppermost and unique lighting, intricate gold leaf and a bespoke handwoven carpet will make this one of the most revered venues for afternoon tea in Edinburgh. Forming part of Heritage Portfolio’s esteemed dining collection, this signature afternoon tea will change seasonally to reflect the finest and freshest ingredients of Scotland’s natural larder. 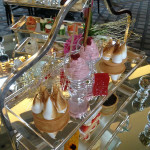 A gluten free afternoon tea option will be available alongside changing specialities. 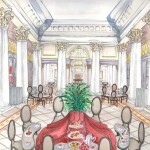 The Colonnades will boast its own Tea Sommelier, Champagne experts and mixologists ensuring that only the best teas, champagne and most indulgent cocktails will form the final piece de resistance for this discerning dining experience. 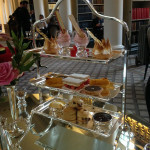 Afternoon tea at the Colonnades, in the Signet Library, Edinburgh is available Monday – Friday. 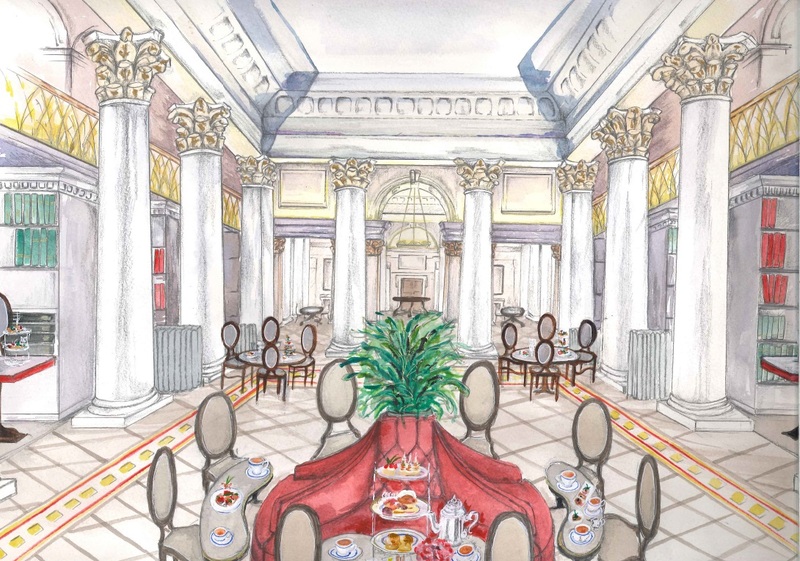 To find out more and make a reservation visit the Signet Library: Colonnades. 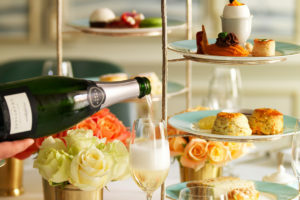 Exclusive to Girls Afternoon Tea and to mark the launch afternoon tea at the Signet Library, Heritage Portfolio have offered a mouth-watering champagne afternoon tea for two to be taken between 1-30 June 2015. This competition has now ended and we received in excess of 2000 entries. A huge thanks to all who entered. Our lucky winner is Yvonne Cassells who will be enjoying her tasty prize over the summer. 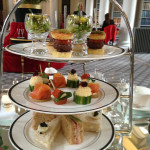 Book afternoon tea at the Signet Library . 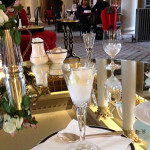 . .
Read our review of afternoon tea at the Signet Library . . .
Don’t forget to follow us on our social media channels visible at the top of this page. 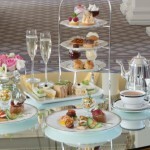 We have some gorgeous prizes lined up, with two new chances to win afternoon tea to be launched in June. In the meantime, if we have whetted your appetite for a delicious day out with friends, why not browse our other afternoon tea in Edinburgh venues. Good luck to all who have entered. We’ve an incredible response. 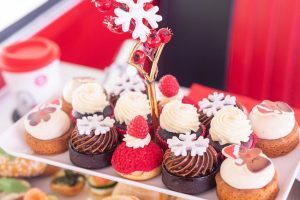 This looks fantastic ,great selection for gluten free would be a wonderful treat to celebrate my ruby wedding with my bridesmade,after 40 years and still love girls day treats. Good luck Jane and have a lovely Ruby Wedding Anniversary celebration with your bridesmade. With such a fantastic setting, attention to detail and gluten free options this is sure to be a real treat. Couldn’t agree more Anne. They’ll be delighted with your feedback.